The Volly level indicator is an innovative product especially designed by Kenders for the measurement of mobile tanks. The inspiration for designing the level indicator was through the recognition of a real agricultural need by an operator who had no means of determining tank level when spraying Farm Forestry trees. The Volly is named in honour of Australia’s fire fighters, who can always be relied upon to get the job done with no fuss, even under the most extreme conditions. 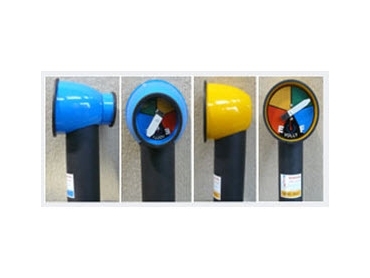 The Volly level indicators have been specifically manufactured to overcome problems involved with moving water tanks, such as fluctuation, sloshing and vibrations. reverse and diesel options available. Contact Kenders to find out more about its innovative level indicator products for farming and agricultural use.